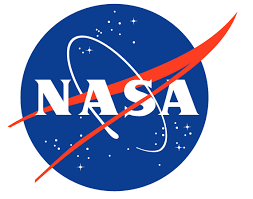 The National Aeronautics and Space Administration (NASA) describes Near-Earth objects as comets and asteroids that are pulled into Earth’s orbit by gravity. NASA has put together a plan, called the National Near-Earth Object Prepardness Strategy, to prevent one of these objects from crashing into Earth and potentially causing the end of the world. NASA's planetary defense officer, Lindley Johnson, states, “The nation already has significant scientific, technological and operation capabilities that are relevant to asteroid impact prevention.” This makes the probability of an asteroid hitting Earth very low; however, NASA plans to expand these efforts. The agency is putting together emergency preparedness plans and increasing scientist cooperation to monitor these objects, in the unlikely chance that an impact occurs. The damages caused by a Near-Earth object would be vastly detrimental. If any proof of the danger of Earth colliding with one of these objects is needed, just take a look into the Earth’s ancient history. Three quarters of Earth’s plants and animals went extinct 66 million years ago, and scientists think that asteroids may be to blame. Near-Earth objects are not currently a major threat, but NASA is thinking into the future. These asteroid preparedness plans could save our Earth some time down the line.